A beginning writer once asked me, “How do you find out what motivates your characters?” I suggested it could be done with something as simple as an interview. I said to consider interviewing your character as if you were a newspaper reporter asking probing questions about their life, quest, current situation, and other topics that could yield the answers. Come up with all the questions first. Then conduct the interview. It sounds simplistic, but it works. As authors, we know how vital it is that all our characters have a goal. They must want something, and that something is what drives them forward in the story. But it’s more than just a want. They must also have a need. If we don’t know what our characters wants and needs are, neither will our readers. With nothing to root for, the reader will lose interest. And in the end, they won’t care about the outcome. So what is the difference between want and a need? The want is what our character consciously pursues in the story (Dorothy wants to get home after being transported to the Land of Oz by a tornado). The need can be a quality she must gain in order to get what she wants (courage, selflessness, maturity, etc.) or the need can be in direct conflict with what she wants. 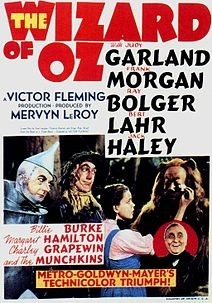 In Dorothy’s case, she needs to find the Wizard of Oz who supposedly can help her return home. Of course, we find that her real need is a lesson learned while interacting with all the good and evil characters along the Yellow Brick Road—a need to appreciate what she already has. So the quality she needs to obtain is an appreciation of the love her family and friends have for her. If we work backwards, we already know that at the beginning of the story, she should show a lack of appreciation (or apparent lack) of those around her. Around the farm she lives on, they give her little attention and constantly tell her to stay out of the way. Knowing this need, we have now given Dorothy room to grow. Now we can start forming Dorothy’s character in our head. We know that the story should force Dorothy into progressively greater conflicts so she sees how much her friends care for her, how much they stand by her and come to her aid. These conflicts should build until the final crisis (the Wizard leaves without her and she is trapped in Oz) where she is made aware of the deep love her family and friends feel toward her. Every character must have a want and a need. The most critical are the ones for our protagonists and antagonists. But I think that even the smallest, one-time, walk-ons must be motivated. If we determine the goals of every character, we will have an easier time writing them, and the reader will have a more distinct picture of the character in their minds. This entry was posted in Joe Moore, writing, writing advice, writing books, writing process, writing techniques, Writing the Novel, writing tip, writing tips by Joe Moore. Bookmark the permalink. Just one question, Joe. Are you a good witch or a bad witch? I like the two items you name, want and need. One is plot objective, one is inner journey. Good to think about for a fully orbed book. Jim, pay no attention to the blogger behind the curtain. I’ve always believed that great plot ideas are a dime a dozen. Great characters and what motivates them are rare. Joe is the mysterious Oz behind the curtain, Jim. I liked the want & need idea too, especially if what a character wants is in conflict with what they need. You’re right, Jordan. Putting the want and need in conflict makes for a much more interesting story. I’ve read many articles about character motivation, but this is the clearest and easiest to assimilate yet–perhaps because it involves my fave flick of all time! Brilliant example. Thanks! Thanks for the kind words, Leslie. I still remember seeing the Wizard of Oz as a kid in the theater. When Dorothy opened the door and everything turned to color, I was speechless. And those flying monkeys scared me to death. There’s still something really creepy about them. One of the top 10 movies of all time. Writing a novel is one thing I’ve done in life that gets more difficult the more you learn. Want or need or both, humm. Not only can do these motivate some, but think of a character that has wants and needs and doesn’t act on them. Thanks for your input, Brian. If the character doesn’t act on her wants and needs, there’s no story. Great post, Joe! I’ll remember that the “wants” and “needs” thing. One thing I could add about getting to know your character better is to do some journaling in their very private diary – stream of consciousness stuff. That could get you deeper into their juicy hidden secrets than from an interview format, like with a reporter, where they’re not likely to expose their raw emotional sores or dirty laundry. Great additional tip, Jodie. Thanks. Interviewing your characters is a wonderful idea…in general. However, when I went to interview Jacques Borges (major crime boss), he ended up locking me in the closet. He became quite irate and tore up all my notes. Let’s just say that he’s not a nice man. Thank you to JSB for your new book: Revision and Self Editing for Publication. It’s inspiring, loaded with wisdom and an absolute keeper. Jim, were there any skeletons in the closet? Wants vs needs–this isn’t hard. Just remember the Rolling Stones song. You’re right, Anon. You don’t always get . . . Wants and needs. Got it. Great. Thanks. Kenny Rogers also touched on these in a somewhat different context. Thanks for the reminder, Lance. I’ve always been a KR fan.